Treated with BioCoat™ for enhanced cell attachment and growth of a variety of primary cells and ransformed cell lines in serum-free or reduced serum cultures. 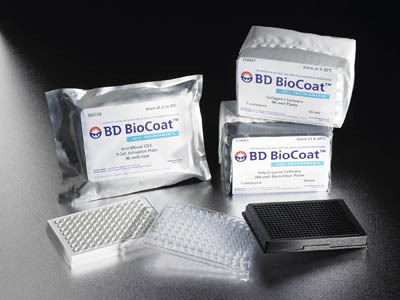 Corning™ BioCoat™ Collagen I Multiwell Plates closely mimmics in vivo environments for cell culture applications. 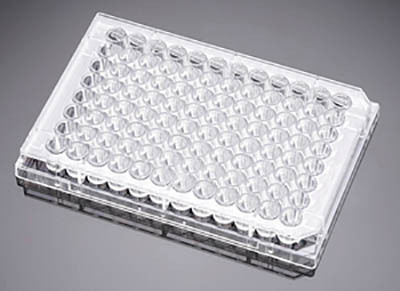 Ideal for applications involving adhesion, growth and differentiation of neuronal and transfected cell lines. In October 2012, Corning acquired the majority of the Becton Dickinson Discovery Labware business. In 2015, the integration of the Biologics portion of the Discovery Labware brands (including Matrigel™, BioCoat™, FluoroBlok™ and PureCoat™) into their growing family of Corning Life Sciences brands will be complete. You will notice changes on their product and packaging artwork, but the products themselves and the catalog numbers will remain the same.